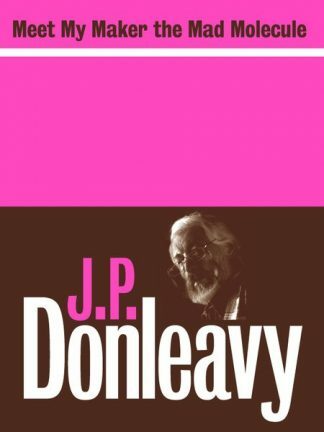 As they face the void of their post-school lives, Matthew, Rez, Cocker and Kearny spend their first summer of freedom in a savage apprenticeship on the streets of Dublin. Roaming aimlessly through the city, fuelled by drugs and dark fantasies, the teenagers spiral into self-destruction, fleeing a reality they despise. Set against the backdrop of Celtic-Tiger Ireland, Here are the Young Men portrays a chilling spiritual fallout, harbinger of the collapse of the national illusion. Visceral and blackly funny, this remarkable debut novel releases an unnerving anarchic energy to devastating effect. Rob Doyle’s fiction, essays, and criticism have appeared in The Stinging Fly, The Dublin Review, Gorse, The Moth, The Penny Dreadful, and elsewhere. His work has also appeared on RTÉ national radio and the BBC World Service, and has been translated into French and Serbian. He studied Philosophy and Psychoanalysis at Trinity College Dublin. After several years abroad, he now lives in Dublin. 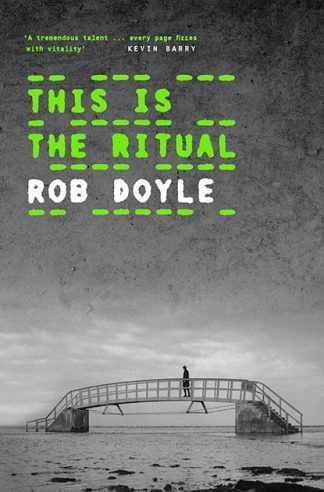 “Set during the height of Ireland’s economic boom in the early 2000s, Dubliner Rob Doyle’s debut novel focuses on four young men who have just finished secondary school, none of them with any idea of what they want to do with their lives, and even less motivation. Main character Matthew Connelly, a teenage Everyman, sometimes behaves like a punk, but he and three close friends slowly grow for the reader within their own chapters here, and the contrasts in their lives are vividly illustrated. Joseph Kearney, a friend whose whole life seems governed by his consumption of drugs and alcohol, is showing dangerous signs of losing all control. Richard Tooley, known as “Rez,” a more intellectual character, evaluates his life and comes to what he regards as philosophically valid conclusions. The fourth teen, Gary Cocker, often acts as a foil for the actions of the others. With a graduate degree in philosophy, author Rob Doyle writes a novel with simple premises and complex results as he develops these characters. The relationships between the teens and their hard-working parents, who had hoped for success for them, are often understandably frayed, and Matt’s parents would have been horrified to know that very close to the time they had a “serious talk” with Matt about his future, he and his friends, drunk and high on drugs, visited the coastal mansion of U2 singer Bono in Killiney to scream expletive-laden insults at Bono and what he represents for them. As the boys wander around Dublin, always drunk and high, they visit popular sites, like the Temple Bar, and go to the beach, much like any other teens, though Matt worries about a potentially violent encounter he has observed between Kearney and a junkie. Despite their almost constant intoxication, each character maintains a kind of personal honesty here, even when out of control, making the reader both sympathetic and empathetic, and as the novel evolves, the boys’ issues become increasingly dramatic. The novel becomes darker, more frightening, and eventually explosive. The eternal generation gap, the unpreparedness of these teenage boys for real life, their seeming lack of values (except for the dubious value they see in each other’s company), and the widespread availability of all kinds of drugs and drink set up these boys for personal failure. “Rob Doyle’s debut tells the story of four young Dubliners on the brink of starting a new life for themselves after finishing their exams. Matthew, Rez, Kearney and Cocker are stepping into the unknown and a trail of destruction awaits. The lads are unhappy at the way the country is going. People are obsessed with money and property and life has become very boring for them. The Celtic Tiger is in full flow but these guys feel no identification with this new attitude that’s changing the Irish identity. The views of young and old are in stark contrast here, with the parents feeling the young people should be thankful for the rich opportunities that lie ahead of them. There’s a strong feeling that anywhere would be better than Dublin. Doyle takes us right into the mindset of these young men as we see the dark fantasies and fear that play out in their heads. Rez is constantly overthinking things and imagines what it’d be like to be a person or animal that can just do things without the constant analysis. Every action is questioned and there’s uncertainty about whether people’s emotions and actions are real or just imitations of those seen on television and in movies. Kearney is obsessed with video games and he dreams up scenarios where he can deal with living people as he does with the characters on the screen. He’s lost touch with the real world and feel it isn’t really for him. He’s set for a life of drugs and debauchery with little respect for the thoughts or feelings of anyone around him. His warped view of the world is shown when he goes to America and lives in a total dive but feels that this is better than living in Dublin. 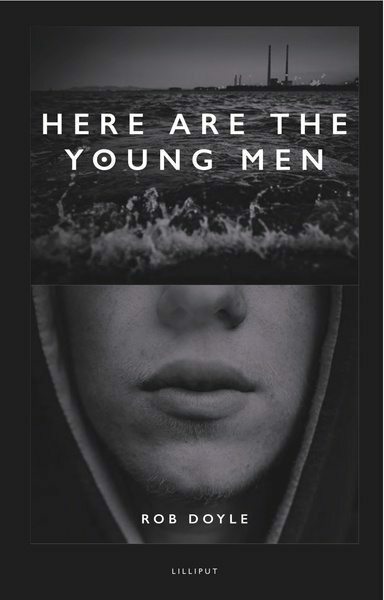 “Here Are The Young Men looks at the male psyche, the young male psyche and examines it to within in an inch of its life, at the same time as actually telling a story, a great story that you simply don’t want to finish. To describe this novel as bleak would be an understatement but I see that as definite good thing, it’s a genuine and true depiction of how the lads in this story feel and the point theirs lives are at. Their exams are over and there’s a massive chasm of time to fill before the next big decisions happen, right from the beginning there’s the sense that there’s real destruction to come and there most definitely is. 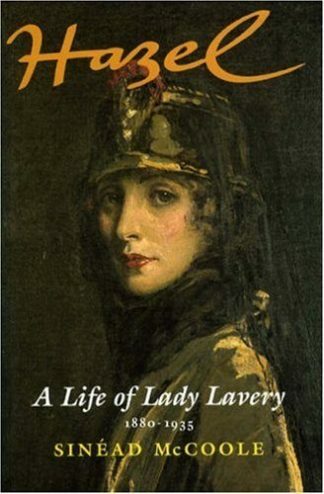 This is an exceptional first novel. Doyle gets right inside the minds of his characters and each of them is starkly different. Each is struggling in their own way though some are more aware of this than others and in Kearney he’s created an example of someone who has quite literally lost it when it comes to reality, his bubble of violence and video game themed barbarism is a bold creation.